Five short books never before available in one collection. 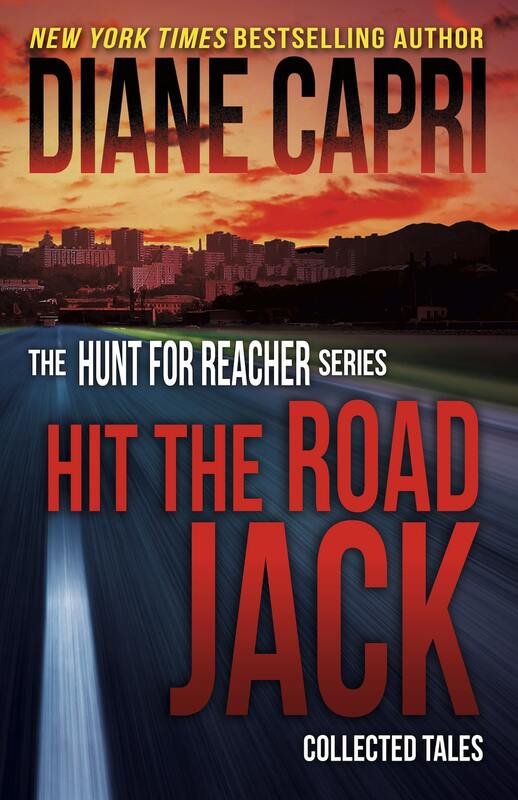 Includes three short books in Diane Capri’s beloved Hunt for Jack Reacher spin-off series from Lee Child’s Jack Reacher novels, featuring FBI Agents Kim Otto and Carlos Gaspar collected in one volume. Also includes two short books from Diane Capri’s popular Hunt for Justice series. Jack in a Box: Otto and Gaspar tried to take a weekend break, but Jack Reacher had out of the box plans. Where do Otto and Gaspar turn next? Jack and Kill: Otto and Gaspar get a lead on Jack Reacher. New Hope, Virginia, welcomed him yesterday. When trouble found him there, who ends up dead? Jack in the Green: Otto and Gaspar track Jack Reacher’s past in Tampa, Florida, where they team up with Judge Willa Carson, investigative journalist Jessica Kimball, and attorney Jennifer Lane. Mistaken Justice: On a rainy night, Darla Nixon drives home alone and makes a mistake that ruins three lives in an instant. As twisty tale worthy of John Grisham unravels between the laws, Darla keeps her fatal secret until it’s too late for Jennifer Lane to fix — or is it? Fatal Enemy: Jess Kimball hadn’t been in the same room with Richard Martin for more than a dozen years. Worse things than Richard had happened to her since she’d seen him last. He’d find out soon enough that she wasn’t a gullible sixteen-year-old anymore, even deep down. She was his enemy now and he was hers, whether he knew it or not. Jess decided long ago she would never yield to him again. Richard Martin would make his choice tonight. In this tense battle of nerve and guile, how can Jess survive? Click on the links below to buy Hit the Road Jack.